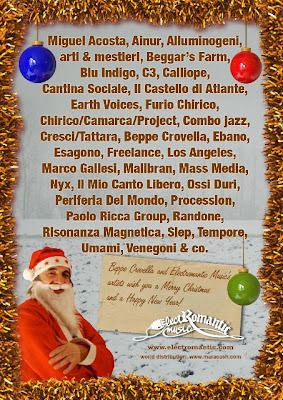 All the best wishes for a wonderful Christmas and a 2009 much beyond your wildest dreams form Beppe and all Electromantic Music artists. I'm happy to announce you that NICOLA RANDONE, leader of the band with the same name, "RANDONE" is comin' to Japan and joining CASTELLO DI ATLANTE to their Japanese tour. It's Electromantic Music's 4th artist that comes to Japan this year. Randone is an Italian prog artist that comes from Sicily and in his works for Electromantic Music he shows his passion and musical drama that make his "Sicilian prog" style. 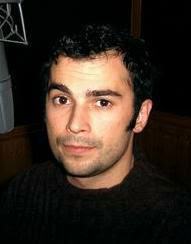 His albums for ELECTROMANTIC MUSIC, in the PRGO ITALIANO Sub-label are "Ricordo", "Nuvole di ieri" and "Hybla". His latest work is "HYBLA BAROCK OPERA" A DVD that's available in some weeks in the new edition. 32. I HAD A DREAM: OBAMA FOR PRESIDENT! We all know that November 4, 2008, is a very important day, not just for USA, but, in some ways, for the whole world! Imagine if Martin Luther King hadn't been killed. ...Imagine if John Lennon hadn't been killed! Imagine if Al Gore had won the election 8 years ago! ...less wars.. more "future" chances to the planet..
..how he would play, there, "God Bless America!" Imagine if Obama would really become USA's President!!!! Today my friends Paolo Ferrarotti will introduce Il Castello di Atlante’s new CD that will be presented together with Castello’s most known compositions, during their first Japanese tour, an extraordinary event, as for the first time ... In this century an Italian prog band is doing a 5 days Japan tour and ..it’s an Electromantic Music’s band!!! IL CASTELLO DI ATLANTE will be recording a live video and audio on 24 tracks for a future DVD on Electromantic Music. 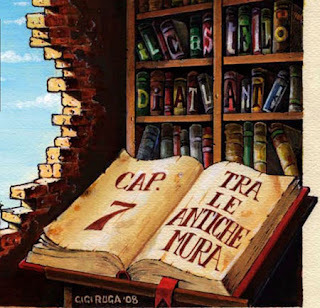 "TRA LE ANTICHE MURA" is our 7th CDs. It's out from "ELECTROMANTIC MUSIC" on the "PROG ITALIANO " sub-label. We've been approaching the tunes as they were real books, each one with its own world, linked to each other by the reader's intention. “Our reader” listens and feels the music that’s on the album, while he's reading the books. He's imagining the music in the same way a reader imagine the scene that's suggesting the book he's reading. Like "Pictures at an exhibition" we find a main theme that portraits the "Promenade" of the reader, while he's looking for the next book. Into our "virtual castle” we get back to our ideal space, ... the kingdom of our serenity and fulfillment, where we can open our hearts and free our minds. the way we see Dante's Inferno (Dante Alighieri is the main Italian poet, who wrote the immortal "La Divina Commedia" that's considered the central epic poem of Italian literature, and it is seen as a masterpiece of world literature. It's about the poem's imaginative and allegorical vision of the Christian afterlife: Malebolge is the eighth circle of Hell). Another Electromantic’s band, "Risonanza Magnetica" is out soon with an entire CD dedicated to Dante Alighieri’s literature: "Andante". After 10 years, Dino, the original bass player, comes back in the band. When you compose a new song, a "new type" of emotion are reaching us and we wanted to share with our audience these fresh new vibrations we get when we put together a new tune! The solitude and desperation that's reaching your soul after your "greatest love" has gone. Inspired by another great Italian writer, Pirandello. Portraying the start and the ending of the adventure into a book, or into a new place, in imagination or in reality. Electromantic Music and Il Castello di Atlante thanks HIROSHI MASUDA for his great help. His great love towards our productions and his unlimited love for progressive music. 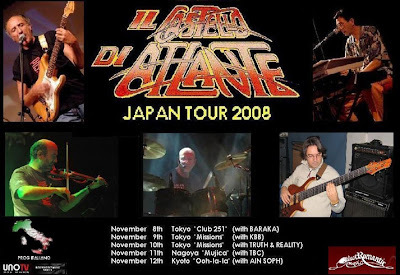 I've a very interesting surprise for you: in November "Il Castello di Atlante" will play in Japan for their Japan Tour. It's many years that an Italian group hasn't had this extraordinary opportunity of doing 5 consecutive dates in your country, Wow! They will come to Japan with THEIR ORIGINAL LINE-UP!!! It sounds quite incredible as many 70's bands (including arti & mestieri) normally have 1, 2 original members, but IL CASTELLO has THE ORIGINAL LINE-UP!!! In recent years Dino left the band for a while but now he's back, Great!!! Il Castello di Atlante's style is authentic 100% pure Italian prog. It appears on "Prog Italiano" Electromantic Music's sub label that handles Italian prog. Electromantic music and the artists thanks deeply HIROSHI MASUDA, who's great passion has helped help and allowed to make this long time dream the band had, to come true!!! Stay happy and enjoy music everyday, everyone! 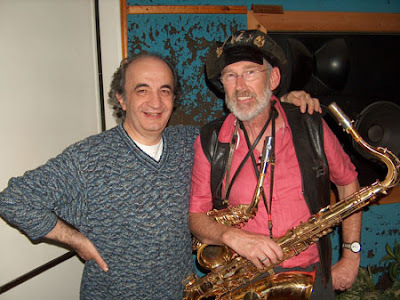 I'm happy to talk with you about David Jackson who recorded in my studio a few days ago. He's the talented musician that all of you know and he's a special person as well. In Italy he's still quite known since the 70's (Van Der Graaf Generator were quite known in Italy at that time: in 1972's Hit Parade they were the only artist to have 3 albums in top places and I'm talking of "Pawn Hearts", "The Least We Can Do is Wave to Each Other" and "68/71". And you know that 1972 was a very rich year, as far as "classic albums" are concerned and they reached top places with 3 albums, in the "beautiful Italian 1972"! In that year Pink Floyd had 2 LPs in Hit Parade, , "Obscured by Clouds" and "Meddle"
- Jethro Tull had "Thick as A Brick" and "Living In The Past!" John Lennon's "Imagine", Deep Purple's "Machine Head", Led Zeppelin's "IV", Elton John "Honky Chateau", The Stones' "Exile on Main Street", “Clockwork Orange”, PM's "Storia di un minuto", Orme's "un Uomo di Pezza". "The Godfather" and without talkin' of Italian top artist like Mina, Celentano, De Andre', Battisti... but only Vand Der Graa, in all that rich year had 3 LPs on Hit Parade, great! So, going "back" to these days David recorded in my Electromantic Synergy Studio for..... I like to leave you ... in a mystery for a while... but I can just tell you that there will be another "big" surprise on the same project. Electromantic Music Production ... soon! "that completed the day": with David we attended at Vittorio De Scalzi's concert in acoustic trio in an old church, in the wood, quite beautiful atmosphere and it was a great gig really by Vittorio and his trio! It was a tribute to Franco Vassia's wife who died 2 years ago and every year there's a concert (Last year it was Roberto Cacciapaglia), and it's organized by Franco himself. Franco is publishing "Nobody's Land" an appreciated Italian magazine/fanzine and he has written the book "I campi della memoria" with interviews to top progressive musicians, for "Electromantic Music". In this summer, David has been several times in Italy, performing with "Osanna"! A great day with David, an unexpected night with David and Vittorio and...more news soon about the "mystery", on this blog, soon! Today's chapter is dedicated to Nocturne Music and to the nocturne compilation, by Electromantic Music, featuring mostly artists of the Turin Jazz Rock School: "Electromantic Nights". 8trailer on You Tube - http://it.youtube.com/watch?v=ppA3B83ZUoY. Probably the most famous classical "nocturne" piece is Beethoven's Moonlight Sonata. ...getting for its participation a "small percentage" that ... gave him financial "certainty", due to the big success the film has had. 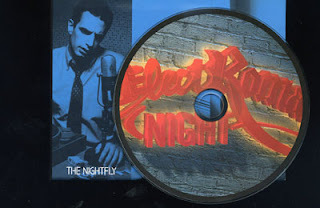 In the eighties we had "The Nightfly"
"The Nightfly" is the title track and it is appropriate - This song is about DJ Lester, Jazz and Conversation. The album is about - a combination of jazz oriented music and conversation themes (love, war and the bomb, what the future will be). "The Nightfly" in a certain way is a concept album. In the CD's liner notes, Fagen says that the songs on this album "represent certain fantasies that might of been entertained by a young man growing up in the remote suburbs of a northeastern city during the late fifties and early sixties". This album, one of the best in... music history, in my opinion, has been a big influence on defining "nocturne" Radio Shows all over the world, and also contributed a lot to the birth of a certain kind of "nocturne" music, relaxed, but full of emotion at the same time, mostly Slow, but intense, calm but often sensual, refined, elegant, sometimes melancholic. I like to play, perform and compose in the night, and it’s the time, before goin' to bed, while I'm listening to the radio. I like to listen to that "moody" music, with some talks, stories between songs. In Italy we have RAI, Notturno Italiano (RAI INTERNATIONAL), Radio Montecarlo, Radio capital. So I have found in Electromantic Music's catalog, what could represent "night feelings and this variety of precise moods) and I've liked to find specifically a right succession between songs, like a concept album ... with a precise path for the listener, like moving ... in the night. On the album we find mostly artists from the "Turin Jazz Rock Catalog" and other artists from Electromantic productions, like Aldo Tagliapietra's "il mio canto libero" or Slep "Take it as it comes" that are perfect in the mood, as well as Morera, that's been produced by Romeo Ferrero, arti & mestieri's producer in the eighties (Acquario and Children's Blues). At the same time we have the pleasure of listening to special guests like Dave Liebman, Alex Acuna, Steve Gadd and Flavio Boltro. Beppe Crovella started his professional musical adventura with the original line up of “arti & mestieri” one of the most acclaimed “Progressive Rock” and “jazz rock” bands, of the Seventies, worldwide acknowledged till these days.